When it comes to brand awareness, your packaging speaks volumes. If you’re an independent café owner, coffee or food service provider, or are in any way looking to promote your food product brand, the packaging is going to be one of your most valuable tools. Think of the way Starbucks makes headlines every year with its Christmas cup designs, or how Tim Horton’s gets nationwide engagement in Canada through its “roll up the rim to win” promotion. These are high-profile examples, but no matter the reach of the product, packaging will be the first thing a consumer notices and remembers. There are a number of techniques that can be used to differentiate your packaging or make it stand out in a way that customers will respond to. Obviously, the first step will be choosing materials. Cardboard, recycled cardboard, Styrofoam, and many other options will have to be selected from. Next is design – if you’re selling coffee products and beverages, choosing cup sizes and shapes will be the most important aspect of your packaging. Finally, branding comes last. Where will your logo be placed? Will you include your logo alone, or is there lettering you’ll want to include? The most popular packaging today is probably made up of environmentally-friendly cardboard with a minimalist design. Using these as guiding principles, there are a number of ways you can personalize the packaging to fit your business. Café owners, for instance, can use a stencil of their logo with the name of their café against a raw cardboard backdrop, adhering to this popular stylistic choice while still establishing a distinct brand. 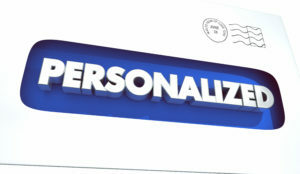 The same stenciling can then be used on take-out boxes, business cards, or in café windows to ensure familiarity. Another element of packaging that is rarely considered is the way it feels in a consumer’s hands. Although this has little to do with appearance, it can still make a difference. Choosing between a glossy or matte finish, a rough or smooth exterior, and a heavy or light material will be something you’ll have to consider. If you’re serving hot coffee in these containers, for instance, you’ll probably want a thicker material with a rough exterior; this will serve to decrease heat transfer and increase grip. Making sure your packaging complements both your café décor and architecture is another way to take package branding to the next level. Hard, modern lines within minimalist architecture will go well with the basic cardboard look. If you’d rather your packaging felt warmer and more personalized, a homey atmosphere in your café would match well. In any case, synchronizing every possible design element of your business or café with the packaging you choose is an ideal method for making your brand more significant. The result of your attention to detail when it comes to packaging will be a direct increase in brand awareness and customer loyalty. It’s practically a truism in both design and in business that such efforts will be rewarded in spades. That’s why your product packaging should one of the most important considerations you make as a food service business owner. In today’s highly competitive world, your product must stand out from competition in every sense. Most of the time, this means its quality should be better than others. That means your packaging should look equally impressive. After all, packaging affects purchasing decisions. Here is how to increase sales through package customization. In fact, did you know that one-third of consumer decision-making is solely based on packaging? On its own, your packaging is a representation of your brand and your entire company. More so, it reflects your ability to deliver the quality product experience that your brand promises. And remember, the more your customers value your brand, the more likely they are to keep working with you. A customized gift box is essential if you want to deliver a unique unboxing experience to your customer. Think of this beautifully-crafted gift box as a way to communicate to your customer the quality product that is waiting inside for them. The best part is you can customize a gift box for your brand to the last detail. For example, the color can be specific to your signature corporate colors, and you can choose the kind of closure system as well. To give the impression of an actual gift, consider opting for a bow design that also doubles as the box closure. Similarly, you can also opt for a simple fold-over flap system on top of the box for easy opening. Meanwhile, some gift boxes may also be opened from the side. This is the case for gift tote boxes and chest gift boxes. Envelopes are not just for letters anymore. If you’re intent on solidifying your brand experience, consider making branded envelopes part of your overall strategy. This is especially helpful if your business involves sending sales kits or literature that further explains how to use your product. If your kit also happens to have a lot of printed materials, consider going for a customizable folder, some of which are designed to hold as many as 20 sheets of paper. Others also come with two interior pockets so you can arrange your product literature to appear like a book. Even better, you can also have a specific pocket included for your business card. If your sales or literature kit comes with promotional items like keychains and pens, consider opting for an envelope instead. Not only do they have more room, but they also come with a closure system that will protect the contents from the elements. Consider these customizable packaging options for your company. Start by testing out several types and see which ones appeal to your target market the most. With the right packaging, your product will be easier to remember, making it the top-of-mind choice for your customer. Are you looking to boost sales and find new leads for your business? Then social prospecting is the way to go. People are using social media in their billions, which means no matter what your business is offering, there are people out there on social media who want it. Social prospecting is the art of finding those people, listening to what they have to say, and then engaging them. Social prospecting works by listening to conversations on social media to find good prospects for your business. The question is, just how can you do that, considering the number of conversations taking place on social media every moment of every day? The answer is, first of all, to plan carefully what to listen for (more on that in a moment). The next step is to figure out how you’re going to do that. 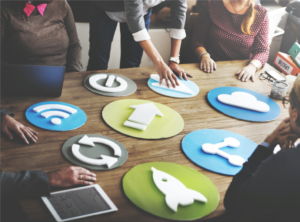 A social prospecting tool, which is designed to bring you the most relevant information, can help you prospect successfully and isolate the conversations that matter to your brand. 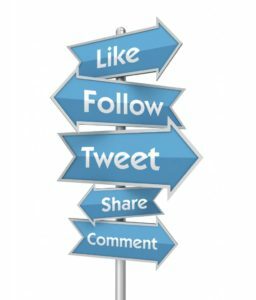 So now you’re clear on what social prospecting is – listening on social media to find strong leads for your brand – the big question is what should you listen for? An obvious place to start of course is brand mentions. Looking for brand mentions will let you know who is talking about your business and what they’re saying, but to prospect successfully you’ll need to drill down beyond brand mentions. Competitor mentions can also be useful. Who is using your competitors? Even more importantly, who is complaining about your competitors? Show them why your business is a better choice. Customers on social media are constantly letting you know that they’re ready to buy. All you have to do is listen. People love to talk about purchases on social media, and frequently ask questions, share opinions, follow businesses that interest them or share pictures of intended purchases. Is this available near me? Customers are giving clear indicators that they’re ready to buy. Social prospecting helps you hear those indicators. 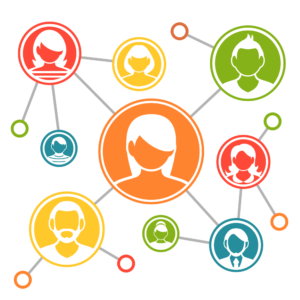 Another way to use social prospecting is to look for customers who match your ideal customer demographic. Say for example you offer a party planning service. With social prospecting, you can search for people who have made mention of needing to plan a leaving part or birthday do, or who are asking questions about party planning, venues or party supplies, and who live in your local area. To maximize your success with social prospecting, choose a tool that lets you draw up profiles so you can find people who match those and see who is the closest fit for your business. You’ve Found Your Leads – Now What? Social prospecting is all about cutting through the noise of social media to find people who need a business like yours, then letting them know why you’re the best choice for them. Know what to listen for and build your social prospecting efforts around that to bring you the most promising new leads. Do you know the difference between marketing automation and email marketing? We all know that email marketing can be a major part of any strategy. However, marketing automation can help take your marketing a step further. So, before getting into the differences, let’s define what these strategies mean. 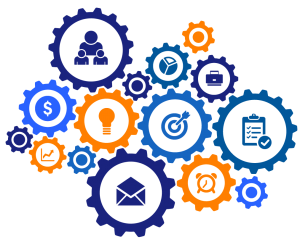 Marketing automation is the use of software to automate your marketing processes in a much more efficient way. Email marketing is the simple communication of sending a message to one or more person’s inbox. Besides the basic level of building relationships and communicating with customers, prospects, or members, the two do not have much in common. For starters, email marketing is time-consuming. Having a successful email campaign takes a lot of effort and heavy manual upkeep. 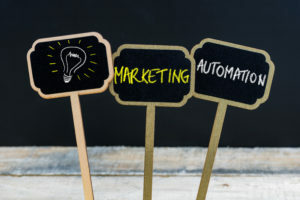 Marketing automation allows companies to decrease their manual workload and allow, not only processes like email blasts but, lead generation and campaign management to be set up and automatically executed. This allows you to time to work on many other aspects of your organization. Personalization is hard when it comes to mass emails. Sending out emails to a large group of people makes it difficult to customize and understand what each recipient wants or needs. With marketing automation, not only would an email blast be automatically sent out, but also, various messages would be sent on a more personalized level. Automated messages can be directed to each recipient based on certain actions taken by that customer, prospect, or member. Further, marketing automation allows you to generate, track, nurture, and develop your leads. While an email may be step one in your campaign, the rest can be built off of automated messages. A well-designed campaign can automatically push your customers or prospects through the sales funnel. With constant contact and limited time commitment, you are keeping your leads engaged and giving them the right content at the right time. Email marketing does not allow you to effectively track everything you need to know about your leads to drive a successful campaign – marketing automation does. A successful marketing campaign needs more than just emails. While having email templates is beneficial and important, content styles such as landing pages or forms play a big role as well. 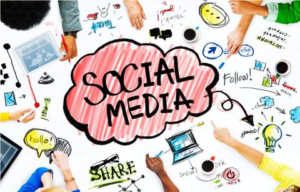 In today’s world, social media also plays a key role in marketing. Marketing automation can provide all of these capabilities. In the end, email marketing is simply one element of the larger picture that is marketing automation. Together, the two strategies can turn leads to sales and help get your message to the right people at the right time.